Are you ready to go off the beaten path? Seth B is too and this time it is in the wilderness of New Mexico! Don’t forget to check out all of Seth’s amazing adventure photos HERE. I spent the earlier part of the day at De-Na-Zin. It was extremely hot and there is no shade, so starting early is recommended. I wasn't sure what to expect when I got there as there isn't a lot of information regarding this place. There are no trails, maps or visitor center here. You are free to roam and explore these badlands on your own. 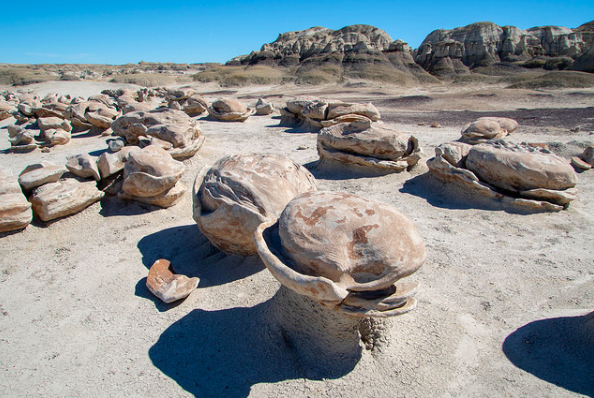 In order to reach the hoodoos and the petrified wood/logs scattered about, you need to walk about 5 miles round trip. I was lucky enough to come across someone leaving who handed me a map with the locations of a few note worthy formations. Without this, I may not have found them easily and I would suggest looking online for something similar. The most rewarding rock formation I came across is known as "cracked eggs", named after their resemblance of cracked open dinosaur eggs. This very unique patch of naturally carved rocks is only about 50 yards long and about 2 miles into the hike. It baffles me how a patch of rocks like this can be found in one specific area and no where else around! My best advice, if you decide to check out this spot, is to keep yourself oriented with the surrounding arroyos. You can more or less follow along side them to the formations and back to the parking lot. There’s always adventures in places that you might not imagine. This is an example of public land not functioning as a National Park but still very easy to explore and have an amazing “park like” experience in. Except without the crowds…and…yes…the maps! Adventure is everywhere when you seek it out and look for it and this is another fine example of exploration at work in the Southwest region of the United States! 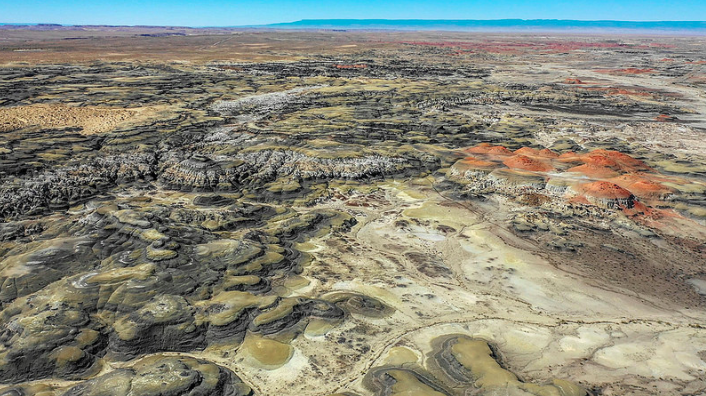 Have you been to this off the beaten path region of New Mexico wilderness? Share your stories in the comments and thanks for reading! Sign up for our emails in our footer to receive all of our newest content, contests, and events.